CHICAGO (AP) In registering a string of comeback wins, the Cubs have come through with big hit after big hit late in games. 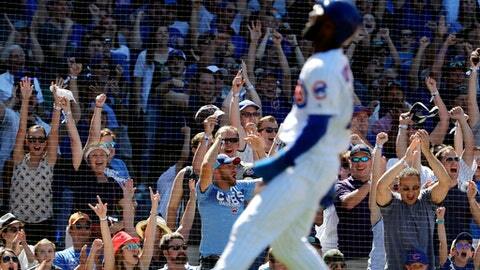 ”When we get a little bit behind, the guys are still very much alive,” Chicago manager Joe Maddon said. Russell then hit a weak roller to first base. Joey Votto fielded the ball cleanly and had an easy play, but tried to take the ball out of his glove before reaching the bag – to hold Contreras at third – and bobbled it. Russell was initially called out, but the call was overturned following a review, loading the bases with one out. Votto was given an error. ”To me, the most important thing is responding to the runs that the other team scores,” Baez said.